In an earlier post, ‘Culture for the age of ideas’, we argued that the culture of many organisations is still unthinkingly based on the old industrial-era mindset of scientific management and command and control. We suggested that there are a number of persistent organizational behaviors that have their origins in this outmoded culture that are now actively preventing the things that modern organisations know they most need: employee engagement, commitment and creativity, for example. This idea was fully explored in our book. My Steam Engine Is Broken: Taking the organization from the industrial era to the age of ideas. The book was based on Mark Powell’s twenty years’ experience in management and strategy consultancy and on his ten-year experience of designing and running leadership and management development programmes at the University of Oxford. More precisely, the book was the result of Mark’s thousands of conversations with people at all levels of organizations large and small, and across several different cultures. The end result was the identification of ten organizational ‘paradoxes’ – behaviors intended to advance the organization’s interests that are often experienced by employees in a negative way. The behaviors are paradoxical because they tend to produce results that are the exact opposite of what the organization sets out to achieve. In this article there is only enough space to give a two-sentence description of these ten paradoxical behaviours and their unintended outcomes, but we think that this will be enough to give you a good insight into our thinking. We all tend to recognize these industrial-era organizational behaviors, just as we also instinctively recognise what ‘good’ behaviors would look like, and why. Management seeks control, but control can be experienced as removing autonomy and preventing self-organization and innovation. Managers gain ‘control’ but lose commitment and creative input. Control requires measurements and indicators, but these can become obsessive, short-termist and even misleading. More importantly, when we try to ‘measure’ people with techniques similar to those that we use to measure processes, people feel labelled, diminished and manipulated. Mechanical and logistical processes must be as efficient as possible, but it’s different when people are involved. Some petty ‘efficiencies’ impact people very negatively, saving a few dollars at an immeasurable cost in lost energy. Organizations know that they need to innovate, but much organizational behaviour is specifically designed to prevent it. Innovative thinking is ‘risky’, by definition, and the ‘control’ mindset hates risk. Communication is a dialogue, not a set of instructions and most organizational modes of communication are not genuine dialogues: information ‘cascades’ down imaginary pyramids; meetings create an illusion of real debate. ‘Communication’ seems to be increasing in volume and declining in quality. Workspaces should be designed to encourage good communication, chance encounters and the flow of ideas. Industrial-era workspaces are designed to keep individuals in their allocated, functional space and enable supervision. People are rarely allowed to organize their own work. When they are, the results can be remarkable, as shown in this Harvard Business Review paper on GE Aviation’s move to a ‘teaming’ work structure. Leadership should be devolved, but is often hoarded. Everyone should be encouraged to lead whenever their natural leadership skills are most appropriate and valuable. New ideas tend to happen at boundaries, when people from different parts of the organization reach out and interact, but few organizations manage to enable productive networking throughout the whole operation. The industrial-era organization sees ‘networks’ as connections to be exploited; real networks are organic and mutually beneficial. Organizations tend to become homogenous environments where contrarians are unwelcome. Diversity of gender and ethnicity is no guarantee of true diversity of opinion; like any ecosystem, organizations need a real diversity of ideas to evolve and survive in a rapidly changing environment. All of these behaviors stem from a common mindset; once the flaw in one behavior is recognised and addressed, the implications can ripple out through the organization quite rapidly. We see that we are among friends here. Culture University’s Marcella Bremer, writes in a post about her concept of ‘non-linearity: [changing] one small habit at a time to create a lasting, different outcome.’ Marcella proposes a programme of working in small teams to discover and take ownership of the ‘what’ and ‘how’ of change, arguing that value systems get translated into ‘specific, daily behaviors and underlying assumptions’ and that we should focus on ‘the crucial behaviors and beliefs will make the difference to success’. In a recent post, Culture University’s John Katzenbach also proposes that we should start with behaviors: ‘change behaviors, and mind-sets will follow’, says John, arguing that ‘culture is much more a matter of doing than of saying’ and that trying to change a culture by top-down messaging and training and development programmes is unlikely to work. John proposes a 10-stage process for mobilizing our organizational cultures. We hope that the ‘ten paradoxical behaviors’ described here might be a useful starting point for organizations setting out to explore which behaviors they might most need to change in order to create an enabling, empowering culture fit for the age of ideas. We can make intellectual decisions about what we would like our organizational culture to be, but the foundation of those cultures is the set of behaviors, often unwittingly inherited from our relatively recent process of industrialization, that we enact each day at work without considering their impact on our colleagues and the consequent effect on the organization’s energy level. 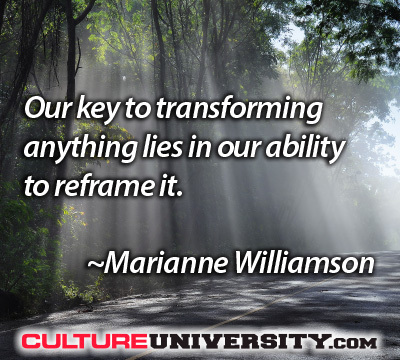 Change those behaviors, and you energize the culture. What do you think? Are we still trapped in ‘industrial-era’ behaviors? Can we change a culture by changing individual behaviors and allowing a new culture to emerge, or do we need to start with a grand vision? Please do give us your thoughts. Jonathan Gifford is a business author whose books include History Lessons; Blindsided; 100 Great Leadership Ideas and 100 Great Business Leaders. Jonathan worked as a Fleet Street advertising man before moving into magazine publishing with BBC Magazines. He played saxophone in bands in Canterbury, where he studied philosophy at the University in Kent, and later in London, where he continued to play semi-professionally throughout his business career. Dr Mark Powell is a business writer, consultant and entrepreneur. 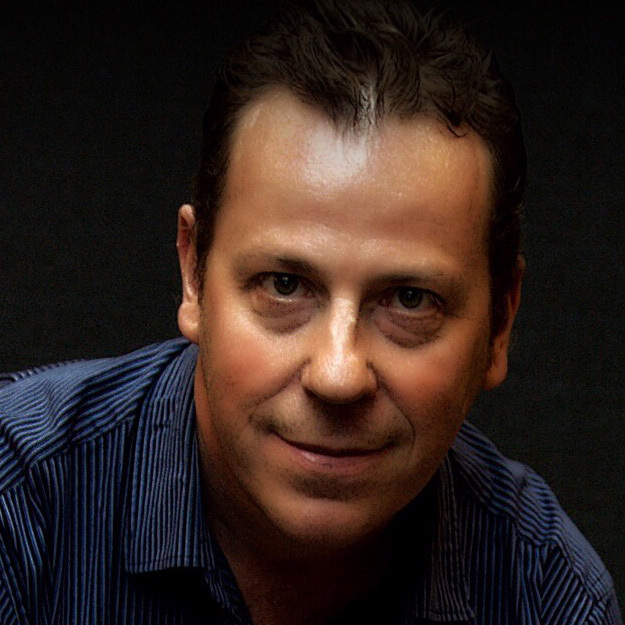 A business and strategy consultant for over 30 years, Mark also had a successful career as a competitive Latin American dancer, winning over 50 titles including two British and two World Championships. His increasing focus has been on using a deep understanding of the performing arts to solve modern day business challenges.